How much exercise is enough for a puppy? All dogs need some form of movement depending upon their age, medical condition and dog breed type. 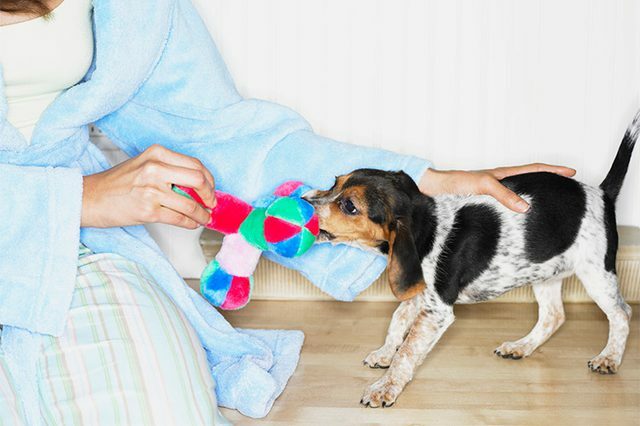 There are multiple benefits ingrained in an active lifestyle for your pet. Therefore hooking on the pup from a young age to exercise is inextricably linked to a long healthy life! When puppies start exercising it is most likely going to stave-off joint pain and arthritis during their senior phase. Regular exercise and play keeps obesity away! There are serious health risks to dogs carrying all those extra pounds. Obesity results in diabetes, damages joint & ligaments, leads to hypertension & heart disease, difficulty in breathing as lungs fail to function properly, decreases stamina as being overweight means the heart, muscles & respiratory system have to work over-time, and excess fat makes it difficult for the dog to regulate its body temperature resulting in heat intolerance. Mental stimulation achieved through exercise prevents boredom and behavioral issues in canines. An opportunity to socialize the puppy early on in life: Visits to a park for some fun activity presents the pup to explore new environments, smells, people and other pets. 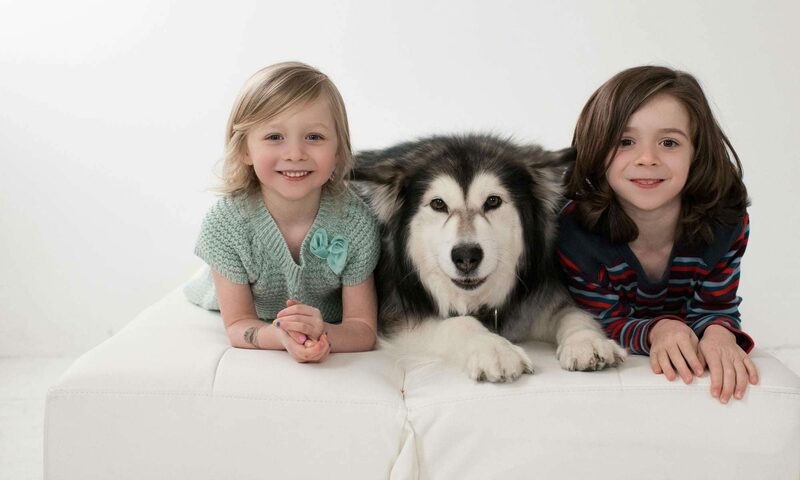 Meeting animal loving humans and other sociable dogs plays an important role in shaping a pup’s friendly personality. 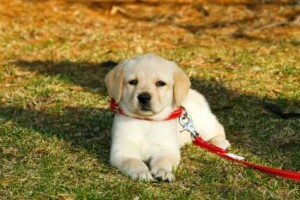 The simplest way to determine is to consider 5 minutes of exercise per month of puppy’s age, upto twice a day. This means if the puppy is two months old then you need to exercise it for 10 minutes twice every day and so on. 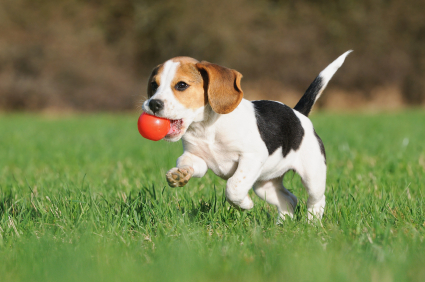 Working and Hunting Dog Breed puppies such as Beagle, Hound and terrier dog families etc. are overtly active. A less strenuous form of physical activity for a young pooch will include swimming, playing with puppy toys/balls, short strolls and a game of fetch or tug of war. If your puppy sits down in between a short walk, let it rest briefly till it starts to walk again. In case it does not raise itself to walk after a long rest, the puppy-parent will have to carry it back home, especially in case of dog breeds such as Pugs, Affenpinscher etal. that are brachycephalic. When to switch to an exercise routine for adult dogs? An adult canine will require at least 30 minutes and upto two hours of exercise every day depending upon the breed type and physical condition. Some dogs require a lot of exercise (vis-à-vis others) and this category includes dogs such as Dalmatians, Labrador Retrievers, Border Collies, Jack Russell terriers, Siberian Husky, Australian Shepherd, and Alaskan Malamute among few more breeds. The maximum weight a canine gains over time determines when it’s time to switch it to adult dog exercises. If the dog will not get bigger than 11 kilograms (25 pounds) then you can make this switch once the pup reaches 9 months of age. For dogs that’ll grow to weigh 11 to 45 KGS (between 25 to 100 pounds) then it is safe to wait till the canine is 14 months old for it to start a more rigorous exercise routine. If your canine will weigh 45 kilograms or more wait till it is one and a half years of age to introduce him/her to physical activities for grown-ups. There is no doubt that right amount of exercise will enrich your pup’s life with numerous health benefits as well as a well rounded personality.